Flood-damaged vehicles can typically be considered scrap vehicles. Regardless of the level of damage of your flooded vehicle, Metro Car Removal will buy your auto for cash today. Get a quote by giving us a call today. Typically, when a vehicle suffers water damage, it is rendered useless. Cars that have been flooded to the point that water gets into the floorboards, the electrical is considered gone and extends to the engine cylinders and lubricants. If the water reaches the transmission, your vehicle is typically totally useless. 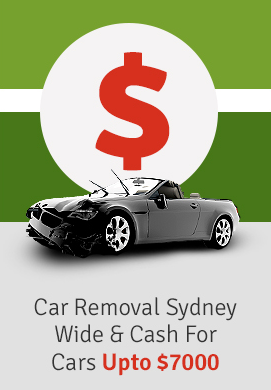 While the outlook for the vehicle looks nothing but cost or disposal, ‘Metro Car Removal’ pays Cash for Flood Damaged Cars in Sydney of any condition even those that do not run. Metro Car Removal will make you a “Cash for Flood Damaged Car” over the phone or on our web page. Within just a few minutes we’ll have a cash quote for you. If your vehicle has been mostly or completely submerged in water it likely no longer runs. Repairing the vehicle is likely not worth the cost. Selling Your Damaged Cars to Metro Car Removal puts cash in your hand. We offer cash for your Car, Truck, Van, SUV, 4×4, Ute, Jeep, Bus or Bike. As expert Auto Wreckers & Recyclers in Sydney, we will buy your vehicle regardless of its damage. We Wreck vehicles pulling any working parts from the engine that can be refurbished for quality used parts. What cannot be refurbished will be recycled. The system is one that puts a good chunk of change in the hands of vehicle owners for an otherwise useless or costly to repair vehicle. At Metro Car Removal, our customers don’t have to hassle with the inconvenience or cost of TOWING their vehicle to us. We provide courtesy Flood Damaged Auto Removals anywhere in Sydney. With technicians that work around the clock, you have your vehicle removed at an hour that is convenient for you. Metro Car Removal is the Car Removal company in town that provides vehicle owners with all the conveniences when selling their flood-damaged vehicle that provides ease. We don’t make it a hassle to obtain a quote. Nor, do ask that you prep the vehicle or do any of the heavy loadings for its towing. We offer a quick and simple Cash for Flood Damaged Cars that leaves you with an air price for your damaged auto. Instant Cash for Cars Quotes – Any Make, Any Condition – We’ll buy your vehicle for cash today. Free Flood Damaged Car Removals – Anywhere, Any Hour – Metro Car Removal will come to any location in Sydney to remove flood damaged vehicles for free. Instant Cash for Cars Payments – Count the Cash for Your Flood Damaged Vehicles in Just a Few Hours – We’ll make you an offer on your auto and put the cash amount in your hands today. Metro Car Removal offers the convenience that eases the stress of the situation of your flood damaged vehicle. Call us today for a Cash for Flood Damage Vehicle Quote at 0422 600 833.